MONEY® Canada Limited is the owner of the MONEY® trademark in Canada. 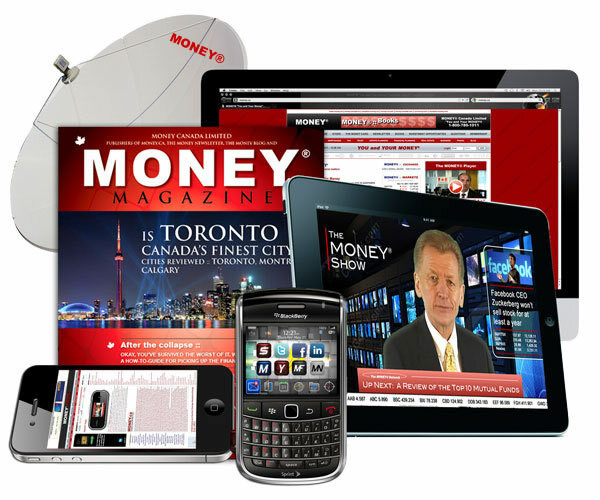 We are also the owners and publishers of Money.ca, MONEY® Magazine, and The MONEY® Newsletter, as well as many other MONEY® related sites and media. MONEY®'s mission is to provide Canadians with a trusted and reliable source for "The MONEY Show", and so much more, including financial literacy programs for Canada's youth, novice investors, and those new to our country. YOU and YOUR MONEY® is a Canadian financial blog that boasts some of Canada's best read financial writers. With our eyes set firmly on YOU the financial products and services consumer, we aim to provide our readers with a unique look at issues that are impacting the financial lives of Canadians. ME and MY MONEY® is the personal blog of Canadian Financial Blogger James Dean, otherwise known as the President of MONEY® Canada Limited. In the blog James shares some of his personal insights and opinions on Canadian personal finance matters. 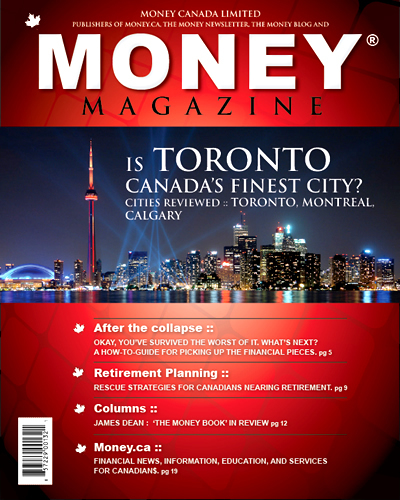 MONEY® News is an online financial news resource brought to you by MONEY® Canada Limited. We have assembled the finest news and press releases from across Canada into one definitive source for Canadian financial news. Our media suppliers include CNW, Marketwire, NASDAQ - Globenewswire, PRWeb, PRNewswire, and Businesswire. 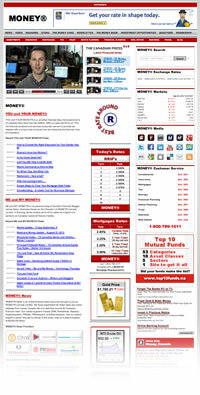 Use our search engine to power through hundreds of the latest news and press releases at MONEY® News. High quality, full 4 color process, magazine published quarterly in English and French. 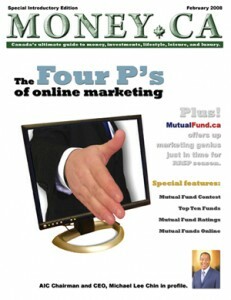 Money Magazine the one and the only dedicated to what matters to the personal finance of Canadians. 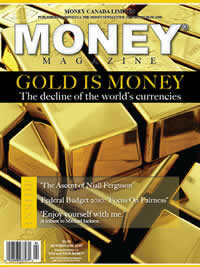 MONEY is available at fine newsstands across Canada including Indigo and Chapters. There are many great reasons to join exclusive MONEY Membership online and or cheaper ways to get this great publication Money Magazine delivered to your doorstep or desktop. Keep up to date with our e-mail newsletter, providing you with valuable money management tips and the most current news about our agency and the credit industry. The MONEY® Newsletter provides important, relevant and timely news, information, tools, strategies service and recommendations. 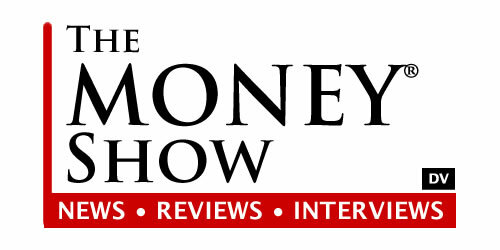 The MONEY® Show looks straight into the eyes of both mid-level and high-net worth individuals that take their personal finances very seriously. 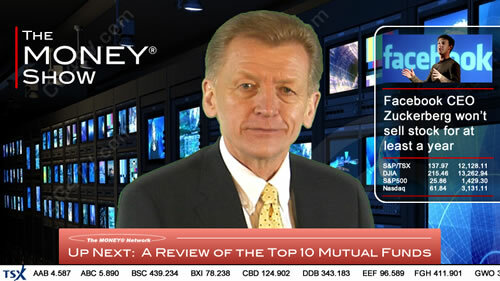 The MONEY® Show goes beyond the hard data and provides in depth coverage of personal financial matters. 30 minutes a week for described video and described Internet. 10 million households can access ami. Listen to The MONEY® Show sample below.